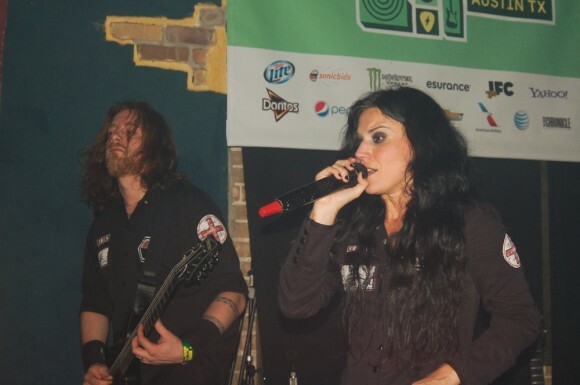 Nu-metal lords Lacuna Coil unveiled a first glimpse of their upcoming new studio production ‘Broken Crown Halo’. The single ‘Nothing Stands in our Way’ will surely give headbangers a reason to look forward to this release. Recently we announced the upcoming release of the seventh studio production of the italian band; The highly anticipated follow-up to “Dark Adrenaline” – a record that got them on the road with legends as Megadeath and Lemmy’s own Motorhead and which debuted No. 15 on Billboard’s Top 200 album chart – was recorded in Milan with producer Jay Baumgardner (P.O.D, Papa Roach) and engineer Kyle Hoffman (P.O.D, Bush, Zebrahead) and is set for releases April 1st in North America and March 31st in Europe and Oceania through Century Media Records. ‘Nothing Stands In Our Way’ is available for streaming via Century Media Records soundcloud page and it unleashes all the power the band is capable of. Don’t be fooled by the quasi electronic start of the song, once it gets to the chorus you’ll get why Lacuna Coil is one of the biggest nu-metal bands out there.